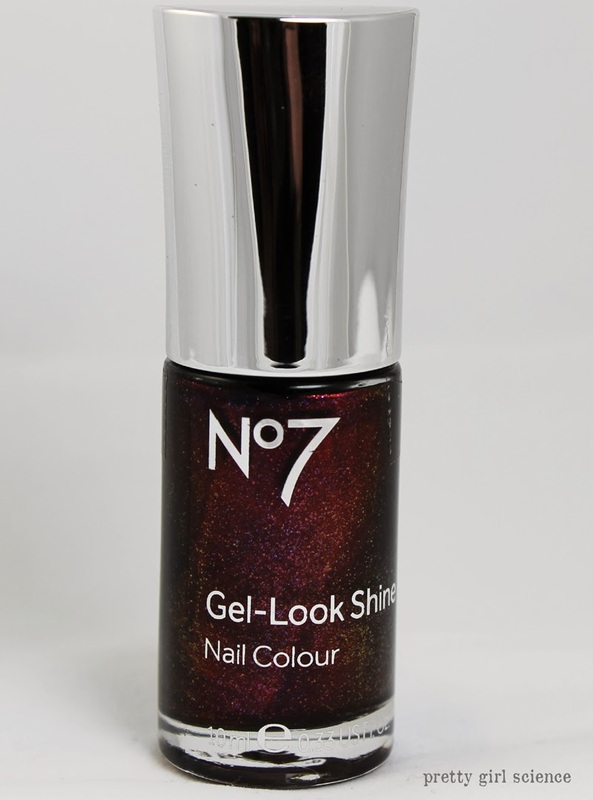 Another one of the awesome polishes I got from across the pond is this No7 vamptacular shade called Galaxy. It is supposedly a dupe for Chanel Taboo, but I've never seen it so I can't say. I can say that I'm in love with it...and I hate it. It is SO hard to photograph! In the bottle, it looks like a metallic wine...or maybe like a Dr Pepper can. I would definitely notice it in the store. 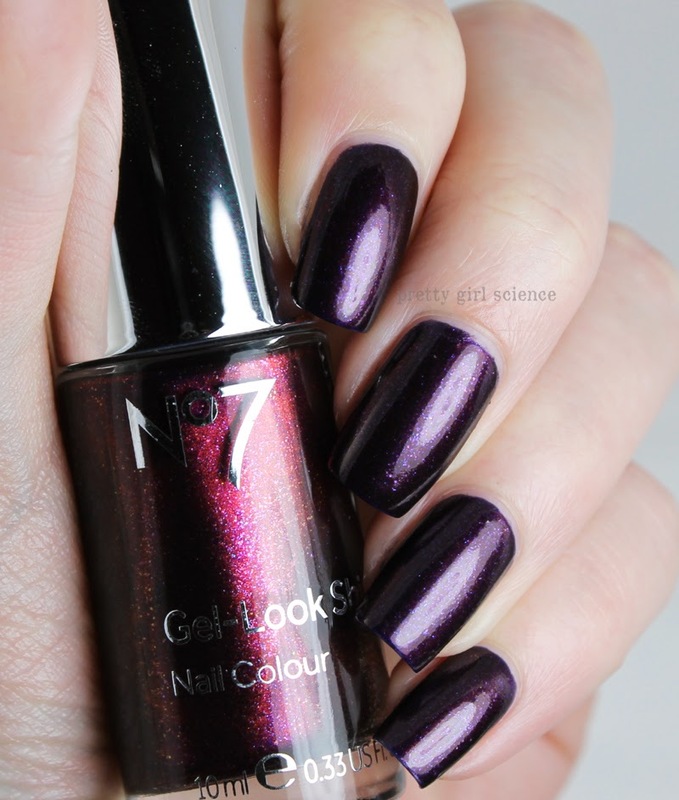 On the nail, it almost looks like a deeper version of Urban Decay Vice...far more vampy and less common, though. There are tiny bits of glitter that flash silver and blue, depending on the lighting. Maybe once I get a better grasp on my camera, I can revisit this one. Application was pretty easy. The brush is like a junior version of the Sally Hansen Complete Salon Manicure brushes. If you like the flat brush, but hate the width, then these might be for you. The formula was also surprising. I almost got away with one coat here. I just had a few pale spots where the brush dragged a bit that required a second coat. For me, this is a definite pedicure color. I like dark colors with a little life to them, and this one definitely fits the bill. If you see it around, I say grab it. This looks fab! I probably ought to pick up a bottle just to comp to Taboo, lol! You should! I'm terribly jealous you can get this stuff whenever you want.